i have observed that many members send private messages to other members just to ask something, while they are doing a group discussion on the forum. about the education in Pakistan .. !! Discuss what u read in the E.Newspaper Today ? 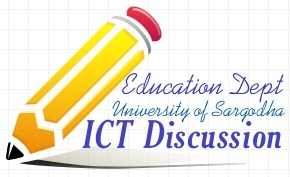 What are the effects of ICT in Education?? please comment on remote learning resources and how it will help students and teachers in learning and teaching...... define, briefly explain a well.